Creative Mountain Games: Sunday Funnies - Healing Knights, When Pigs Take Flight, & Texting Through the Ages, Right? Sunday Funnies - Healing Knights, When Pigs Take Flight, & Texting Through the Ages, Right? First up, a sweet bit of humor when the daughter of a Ren Faire staffer decided to heal the fallen. See more here. 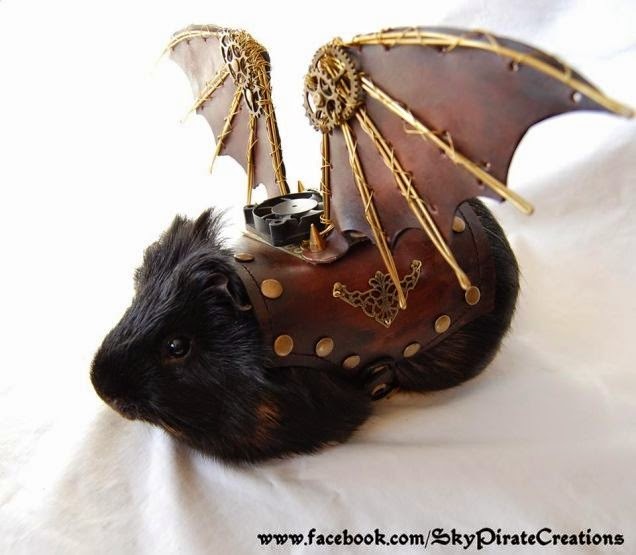 Then someone fashioned some Steam Punk wings for their guinea pig here.